Καλοτοποθετημένο στη περιήγηση σε αξιοθέατα, νυχτερινή διασκέδαση, εστιατόρια περιοχή της Σιγκαπούρη πόλης, το Hotel Clover 7 είναι το κατάλληλο μέρος για να χαλαρώσετε από τις πολυάσχολες μέρες σας. Σε απόσταση μόνο 2 km από το κέντρο της πόλης, οι επισκέπτες βρίσκονται στην κατάλληλη θέση για να απολαύσουν τα αξιοθέατα και τις δραστηριότητες. Με την βολική του τοποθεσία, το ξενοδοχείο προσφέρει εύκολη πρόσβαση στους προορισμούς της πόλης που πρέπει οπωσδήποτε να δείτε. Στο Hotel Clover 7, η άψογη εξυπηρέτηση και οι ανώτερες εγκαταστάσεις συντελούν ώστε η διαμονή εκεί να σας μείνει αξέχαστη. Για την άνεση και την διευκόλυνση των πελατών, το ξενοδοχείο προσφέρει δωρεάν WiFi σε όλα τα δωμάτια, ημερήσιος καθαρισμός, προσβάσιμο με αναπηρικό καροτσάκι, εγκαταστάσεις για άτομα με αναπηρία, φύλαξη αποσκευών. Το ξενοδοχείο διαθέτει 27 όμορφα διακοσμημένα δωμάτια, πολλά από τα οποία περιλαμβάνουν δωρεάν τσάι, πετσέτες, παντόφλες, δωρεάν καφές φίλτρου, επίπεδη τηλεόραση. Εξάλλου, το ξενοδοχείο διοργανώνει πολλά ψυχαγωγικά δρώμενα έτσι ώστε να έχετε πολλά πράγματα να κάνετε κατά τη διαμονή σας. Το Hotel Clover 7 είναι ένας ιδανικός τόπος για να μείνετε αν ψάχνετε για γοητεία, άνεση και ευκολία στη Σιγκαπούρη. Breakfast will be served in a venue next door to the property. Η ελάχιστη απαιτούμενη ηλικία για το check in είναι τα 18 έτη. It’s very near to Clarke Quay MRT and obvious, the infamous Clarke Quay area which is next to Chinatown. Also, there are two 7Eleven nearby. Just follow “Merchant Road” sign in MRT station. U-turn from the escalator, cross the road (if you really need to use traffic light to cross, it’s time consuming , as you need to make a BIG U turn). and into the small lane there. There are two Hotel Clover there, so do take note. The room is very small (reasonable for the price that I am paying), but very clean and the bed is very, very nice to sleep on. Do take note that the soft drinks in the fridge are free, and you will get new ones after room service. I really want to thank the guy who helped me get my luggages to the cab during raining without getting drenched. Really thank you! Thanks to lady staff who provide with a new card when I accidentally left my card key inside the room. Room is clean. Location is very good. Perfect location to do everything that is popular in Singapore. Very nice and cozy rooms with an AMAZING BED!! It was very hard to get out of it as it was so cozy. Highly recommended!!! Good price for the location and size of room. Really loved our stay here. The rooms are small but I've been in much smaller Singapore rooms! This was very easy to be in. Very clean, staff courteous, comfy bed, pretty quiet-we slept well. Nice touches like a couple of free drinks in mini bar. The only negative was the room where breakfast is eaten in is quite cramped and not enough chairs and tables. Apart from that we loved it and would stay here again. We didn't get time to see/use pool area so can't comment on that. if you understood how small this room in advance, no problem. the room, size is like a small cabin of train, this room is only for sleeping purpose. I'm waiting to check-in more than 20 minutest but no any staff show out. Then I walked out from the hotel to ask Hotel Clover (the building next to the hotel) and knew that these two hotel sharing staffs. Finally, I wait another 5 mins for the Hotel Clover staff to do check-in for me. The situation happen again on the checkout date. The bed sheet is not clean and have some dust on it. Sandals in my room is provide with only one pair. I had the single room which was very tiny but clean and comfortable. It has every useful things from tea/coffe set to free mini bar as well as a cozy bed. Perfect solution/location for someone who actively gets around the city by feet or mrt and appreciate a comfy clean stay. The room was small, really small.... But its very clean and have great facilities. And the most important thing, its located near Clarke Quay MRT station. Overall, it was a nice experience to stay in Clover 7 hotel. We had a great time with our stay, the staff were incredible, they helped us with directions going around for it is our first time in Singapore. The rooms as expected is small but very clean, and the bed & linens were comfortable. 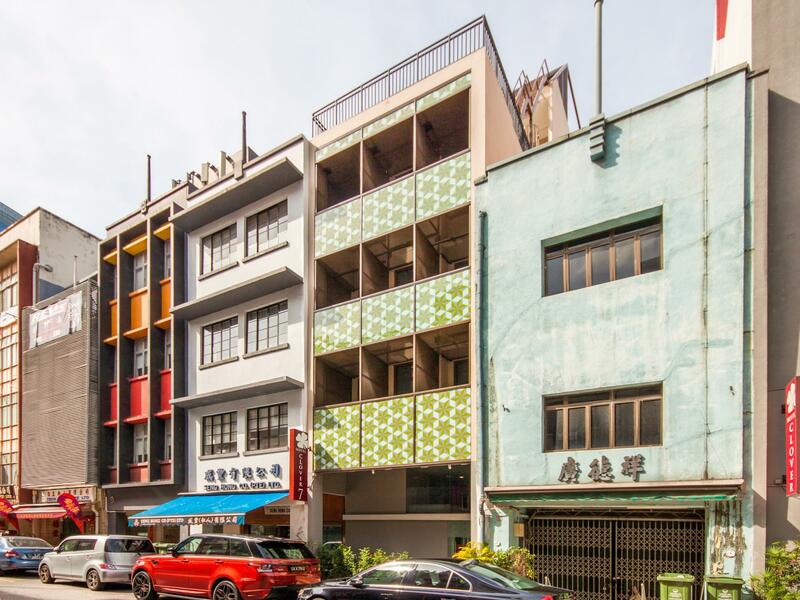 Great location near Clarkes Quay MRT station. 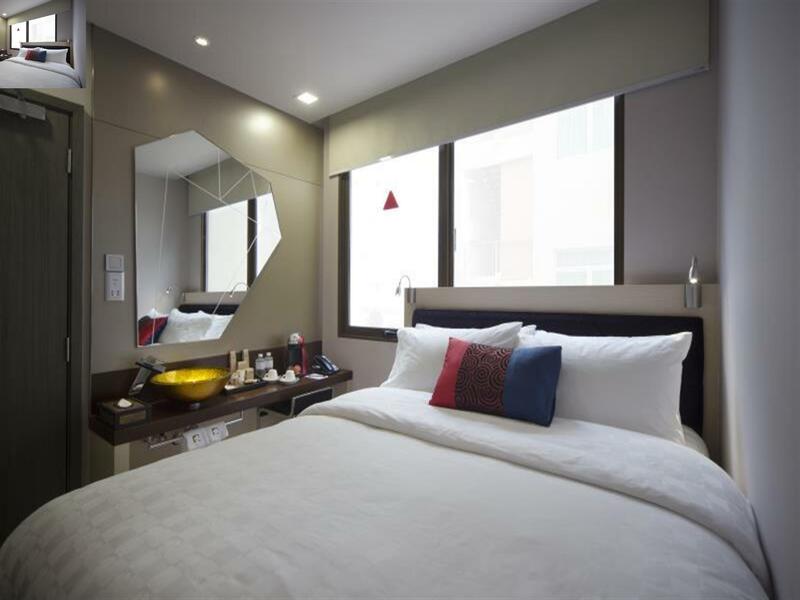 Rooms are small but excellently planned with great amenities and a clean, modern feel. 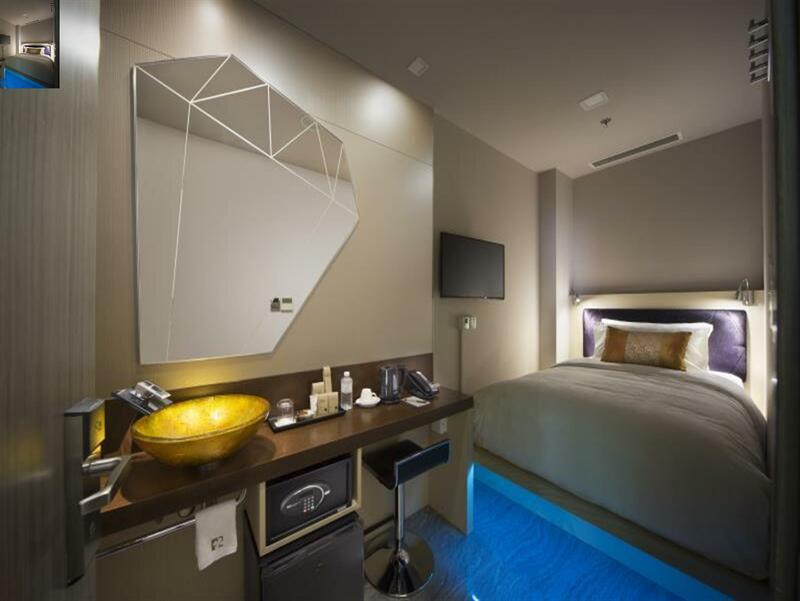 Comfortable bed and little extras that you often don't find in budget hotels in SNG. Front desk staff was exceedingly friendly and helpful (also a rarity). Will definitely stay here again. The room space is just ideal for 1 person. Practically design . Value for money. 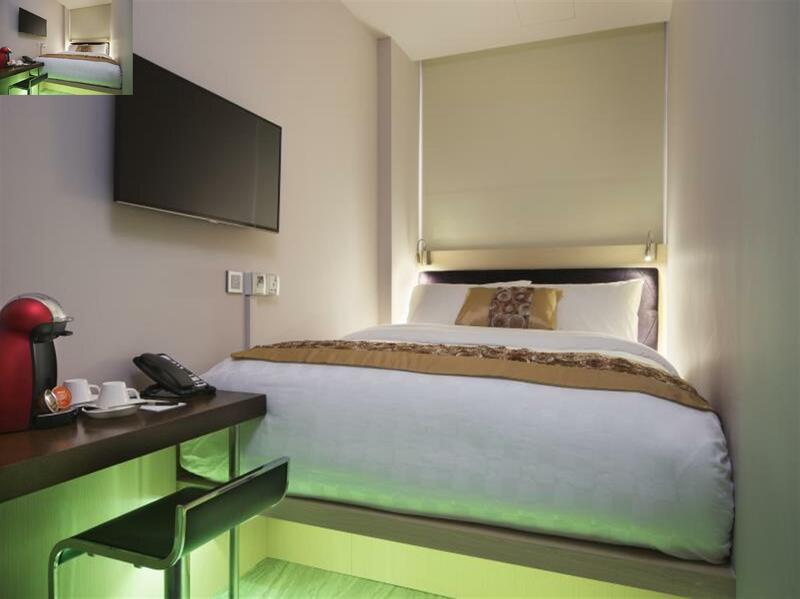 Location of Hotel is approximately 10 mins walk from MRT Clarke Quay. Several places of eatery nearby. 7eleven is just along the same row of Hotel. Reception staff waited for me to arrive after a delayed flight and were extremely friendly and helpful! love the location as it was close to everything nice. Room was perfect for any solo traveler and extremely clean and luxurious for its size. Highly recommended! Loved my stay in this hotel. The room is on the tiny side but it has almost everything (except for closet) one needs. Love the fact that the TV is attached to a bracket that you can swivel over to the bed... so you can lie in on the comfortable bed and watch your favorite shows. The light and A/C switches are on the study table and the controls to the blinds are also on remote. Toiletries are provided as well. The cafe, gym and pool are located on their property a few doors away so one has to dress up to use these facilities. but not a deal breaker. The Hotel is close to Mrt station so it is very convenient for me with my 2kids, safe even around 9pm when were coming from our tours. The room is so small but still ok we hardly stay in the room anyway. The staff there are very helpful and absolutely no complaint at all. The room has all u need though a bit small (but look how much u pay?! So the size of the room didn’t bother me at all). However, one thing is the cleanliness of the room. I stayed there for 8 nights but on the 4th night I started to have rashes (quite serious one) - ended up I need to go back to my home country and went to doc twice. I think the cleanliness of the linen is the problem and so this is what I think travellers need to pay attention to. The room was so small. The width of a double bed. No room to even open luggage. Luckily we were only here for 1 night so we could tolerate the small size. No privacy using the bathroom in the room either. Would not stay here again. Σταθμός MRT Clarke Quay στα 0.16 χλμ.